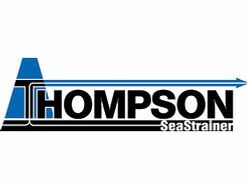 The stainless steel Thompson SeaStrainer is, quite simply, the finest sea water strainer available. 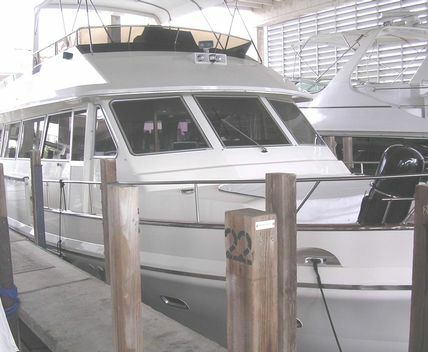 We created the Thompson SeaStrainer to last as long as your vessel. 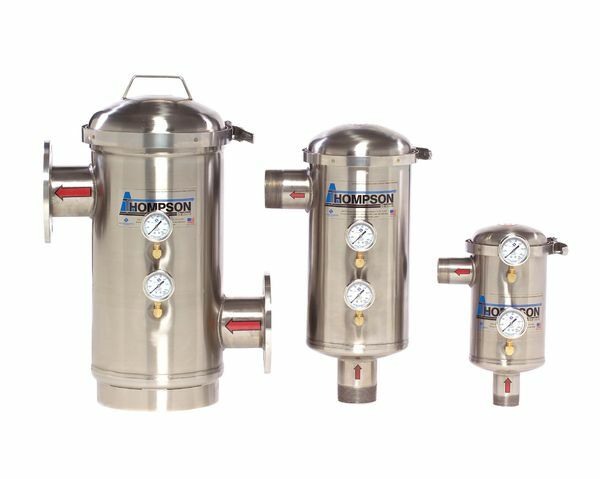 The Thompson SeaStrainer is available in Type 304 and 316 stainless steel and features a large conical screen element. 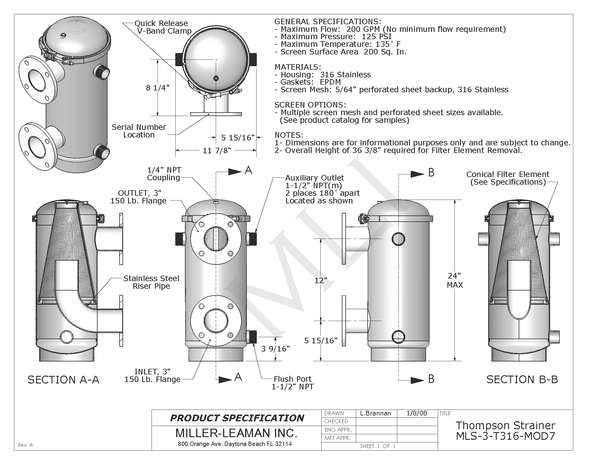 Our standard screen element is made from 5/64" perforated (0.077" or 2mm) material. And, while this is the industry standard, Miller-Leaman stocks a variety of screens to match your custom application. Precisely crafted by experienced professionals, the Thompson SeaStrainer is a brilliant selection for premium applications. 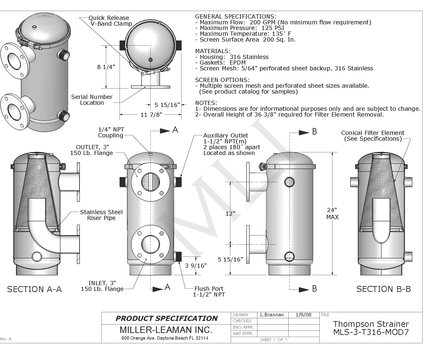 At Miller-Leaman, we've thought through the entire life span of a sea strainer. We've anticipated everything so that you don't have to. From start to finish, the Thompson SeaStrainer runs at the top of its class. 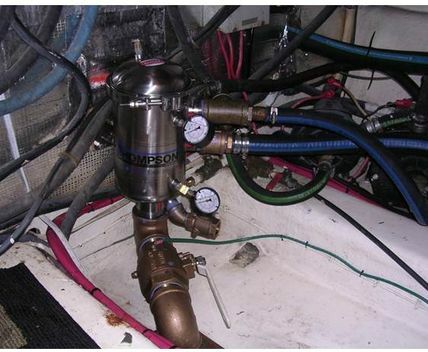 Whether your next project is an expeditionary or seasonal yacht, commercial vessel, or military craft, the stainless steel Thompson SeaStrainer is your optimal solution for sea water filtration. The shape and size of the element are what make the Thompson SeaStrainer more functionally efficient than any other strainer on the market. As water enters the bottom of the strainer housing and flows upward, heavier debris and particulate is accelerated downward (away from the conical screen) into the debris reservoir at the base of the strainer. 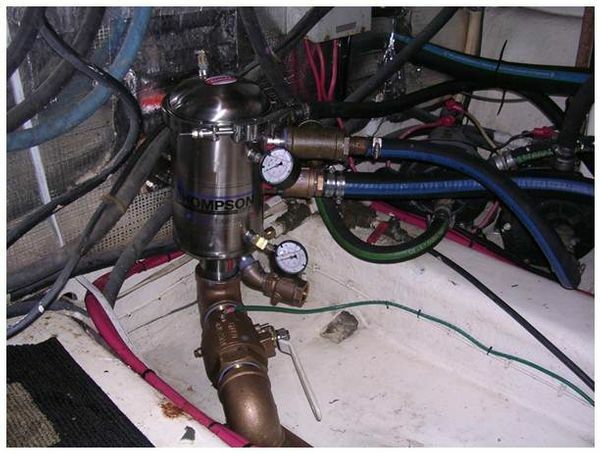 The particulate is then flushed/drained from the reservoir via the debris flush port. 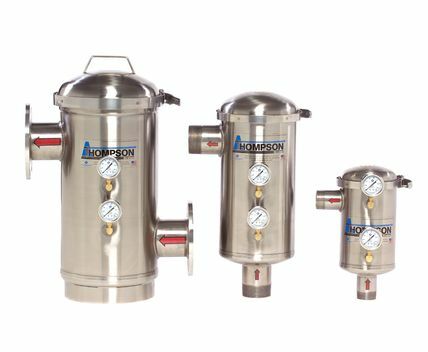 Due to the non-torturous flow path through the strainer in combination with the large surface area of the conical screens, all models operate with a minimal pressure drop. 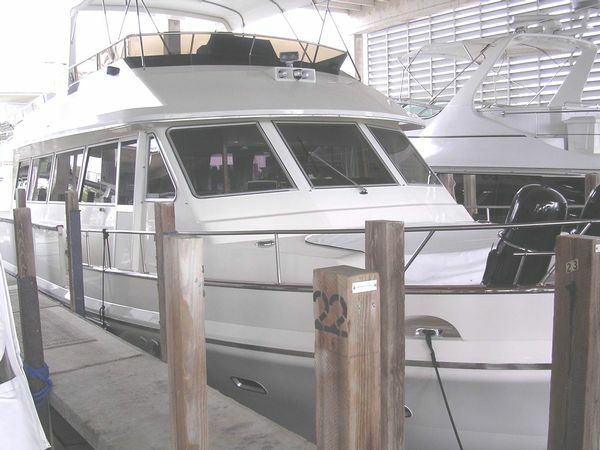 The Thompson SeaStrainer can also be customized to fit your specific vessel requirements.